Sometimes the movies just get it right. There are times when you sit there, watching the silver screen, and you say to yourself, “Now, that’s the way a mother should be,” or “Man, I wish I had a mom like that.” Here are some movie characters that we wish we could be in real life, either as the mother or as the daughter. 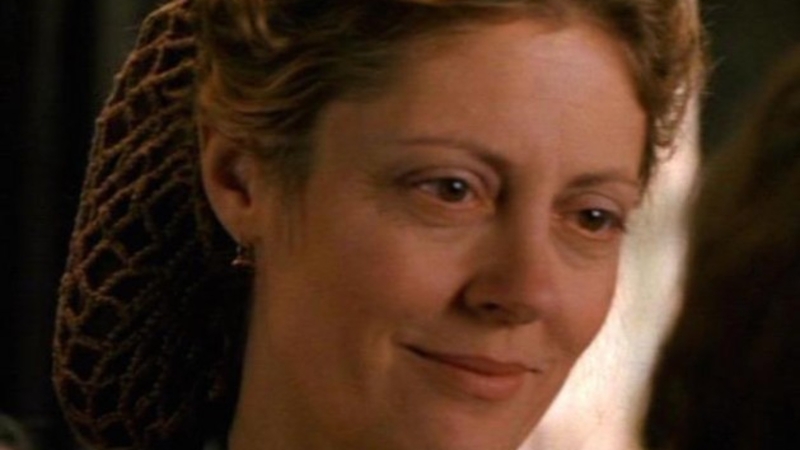 There’s a lot to envy about Susan Sarandon’s character, Mrs. March, or Marmee as her girls often called her. Surrounded by her four loving girls while her husband is away fighting in the Civil War, it’s clear from the outset that Mrs. March has reared her four daughters well. They are simultaneously independent-minded and respectful of their mother. Full of love and vigor, they obviously feel free to become the best versions of themselves without rebelling against their loving mother or losing their own dignity or sense of womanhood. Wouldn’t it be wonderful to have daughters like Meg, Jo, Beth and Amy sitting on the floor at our skirts? The times have passed since we can expect our daughters to find joy in learning to embroider in the candlelight in the sitting room after supper. But maybe we could glean a little glimmer of that bygone age by teaching our daughters to sew a button, dance a ballet or listen to classical music. Watching Sandra Bullock portray the real Leigh Anne Touhy in “The Blind Side,” mothers everywhere can relate to the desire to give a deserving young adult a good home. As she and her family welcome Michael into their affluent home, we watch in admiration as she shows her friends and community what unconditional love really means. Her show of strength hides a deep emotional current that adopted son Michael is well aware of. He senses the depths of her love, possibly, because his own love for his new family is equally profound. Isn’t there some part inside all mothers that wants to save the underdog? It’s the part that makes a mother bear a bear. It’s the part that makes us stop at nothing to make sure our kids get their turn at bat; gets an equal share of everything that’s handed out. It’s the part of us that sacrifices in the name of motherly love. In that sense, there’s a little bit of Leigh Anne Touhy in all of us. If you missed this older movie that’s based on a true story, you owe it to yourself to watch it. (Just hide in the bedroom some afternoon with a bowl of popcorn and a glass of wine. We won’t tell.) Sally Field portrays a woman who lives in America and is married to an Iranian man. In the opening scenes, we see that her husband is a doctor with a magnanimous personality who gets along swimmingly with his in-laws. Over the course of the movie, they move back to Iran, where the husband decides he wants to revert to the traditional Iranian lifestyle. We won’t tell you the whole plot, but basically, Betty and her daughter are prisoners. Betty has opportunities to escape back to the U.S., but she would have to leave her daughter behind in Iran – something she is unwilling to do (hence the title). Sally Field’s character is someone that all mothers should aspire to. She uses her wits, her wiles, and her connections to come up with a plan to spirit herself and her daughter through treacherous terrain and dangerous situations. In the face of adversity, this mother stood up and faced the challenge. When it’s our turn as mothers to stand or be defeated, we can find hope in this true story of survival. Movie characters like these help to promote the true essence of motherhood. That is, gentle guidance, unconditional love and protection. Whether you’re a young mother, single mother, or mother of an adult, what you offer to your children as their mother is something they will always cherish.